Governor Doug Ducey appointed Misael Cabrera as director of the Arizona Department of Environmental Quality on August 17, 2015. He previously had served as the agency’s deputy director since October 2011 under former ADEQ Director Henry Darwin, functioning as chief of staff and directly overseeing the agency’s operations, including its budget and administrative support functions. With Director Darwin, Misael led ADEQ in an agency-wide transformation to apply Lean principles and techniques and deliver better, faster, cheaper environmental protection for the citizens of Arizona. Before joining ADEQ, Misael worked as a Senior Client Leader for Haley & Aldrich’s Industrial Environmental practice where he planned Arizona’s business development strategy and worked on several key accounts. 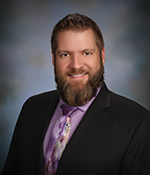 Prior to that, he was the Environmental Manager with AMEC where he was responsible for the environmental business in Arizona and led a multidisciplinary group of professionals that delivered environmental projects for industrial, municipal and federal clients. Misael started his career at CH2M HILL, Inc. where he served in a variety of roles including Business Group Leader for the Environmental Business Line in Arizona and Project Delivery Leader (PDL) for a Department of Defense program across Arizona, New Mexico, Texas, and Florida. As a PDL, he also worked in CH2M HILL’s Milano, Italy office, where he managed to learn a bit of Italian. Misael is also fluent in Spanish. Misael has a B.S. degree in Civil Engineering and is a registered professional engineer. 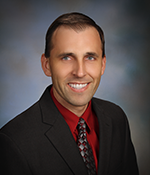 Bret Parke became ADEQ's deputy director in October 2015. The appointment marked a return to ADEQ for Bret, who began his legal career as a staff attorney for the agency before eventually becoming its Administrative Counsel in 2010. He held that post until April 2012 when he was named the State of Arizona's General Counsel, where he provided legal advice on the state’s myriad administrative practices – everything from procurement and risk management to government accounting and finance, state facilities construction, IT security, and employment and personnel services. As General Counsel, Bret also chaired the Governor's Regulatory Review Council, which oversees and approves adoption of state agency rules. As Administrative Counsel at ADEQ, Bret served as the top legal advisor to the agency director. He also chaired five internal committees, managed ADEQ's Strategic Enforcement Unit and was the agency's representative on the Arizona Power Plant and Transmission Line Siting Committee. Eric C. Massey is the the Arizona Department of Environmental Quality's Director of the Air Quality Division and has served in that capacity since July 25, 2010. His duties include overseeing the following State of Arizona air quality programs: ambient monitoring network, pollution forecasting, compliance and enforcement, permitting, vehicle emissions inspections and the development of state implementation plans and rules. Eric holds a Bachelor of Science in Engineering for Chemical Engineering from Arizona State University He has served in various capacities in ADEQ's Air Quality Division since 1998 including permit engineer, permit unit supervisor, manager of both the permit and compliance programs, and acting deputy director. Eric is also experienced with regional air pollution issues, co-chairing the Western Regional Air Partnership's (WRAP) Stationary Source's Joint Forum from February 2004 until the end of the Forum's events in September of 2008. The Forum focused on developing and evaluating regional strategies for reducing emissions of air pollution from industrial sources in order to improve visibility throughout the Western United States. Mr. Massey has also served on WRAP's Board of Directors since 2010. 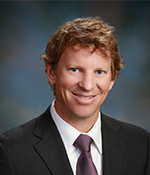 In addition to his involvement with WRAP, Eric has served on the Board of Directors of the Western States Air Resources Council (WESTAR) since May 2011. WESTAR represents fifteen Western states, promotes the exchange of air quality information between the states, and serves as a forum to discuss western regional air quality issues of common concern and share resources for the benefit of its member states. During his time on the Board of Directors, Ericserved as Treasurer, and is currently the Vice President. Laura Malone directs ADEQ's Waste Programs Division. The division oversees cleanup at state and federal superfund sites, permits and inspects hazardous and solid waste facilities and activities, and promotes waste reduction through pollution prevention and recycling. It also facilitates expedited remediation and property reuse through the state’s Voluntary Remediation and Brownfields programs. Laura has a Bachelor of Science degree in Environmental Science from Grand Canyon University. Laura began her career with ADEQ in 1988 and worked in inspections and compliance and as a hydrologist in both the Waste Programs Division and Water Quality Division for 16 years. She held several management positions, including supervising the Hazardous Waste Inspections and Compliance Unit. In 2004, Laura left ADEQ and joined LFR Environmental Consultants (now Arcadis) in Scottsdale as a Senior Project Scientist working on soil and groundwater remediation sites. She helped to establish a multimedia compliance auditing practice. In 2006, Laura became Environmental, Health and Safety Manager with Goodrich (now UTC Aerospace Systems). In this role, Laura was responsible for ensuring regulatory compliance with air, water and waste programs and managing the occupational, safety and health program for the plant. She returned to ADEQ in October 2012. Trevor Baggiore directs ADEQ's Water Quality Division. The mission of the Water Quality Division is to protect and enhance public health and the environment by ensuring safe drinking water and reducing the impact of pollutants discharged to surface and groundwater. 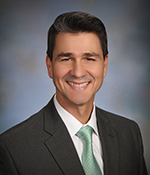 Baggiore received his bachelor's degree in chemical engineering from Arizona State University in 2001, the same year he joined ADEQ. He received his master's degree in business administration from ASU in 2006 and is a registered professional engineer in Arizona. Trevor served as the division's deputy director since September 2014 and had been deputy director of the ADEQ Air Quality Division for four years before that. Before being selected deputy director of the Air Quality Division, Baggiore had been both a unit manager and section manager in the division for six years. Amanda E. Stone is the Chief Policy and Legislative Affairs Officer for the Arizona Department of Environmental Quality. 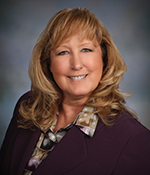 Amanda holds a Bachelor of Science degree from Arizona State University and has worked for ADEQ since 1993 in various capacities including Waste Programs Division Director and Southern Regional Office Director. Amanda currently oversees the Office of Border Environmental Protection which carries out bi-national collaborative initiatives designed to improve the environment for residents along the border. She also directs legislative and policy initiatives for ADEQ and oversees community liaison activities throughout the state. Amanda is a member of the International Boundary and Water Commission Southeastern Arizona Citizens Forum and part of the 2015 cohort of the Flinn-Brown Civic Leadership Academy. She is a past member of many national policy development committees including the Association of State and Territorial Solid Waste Management Officials, Region 9 Brownfields Taskforce, and the USEPA Institutional Controls Development Work Group.